Top floor penthouse with nice views of Shibuya. 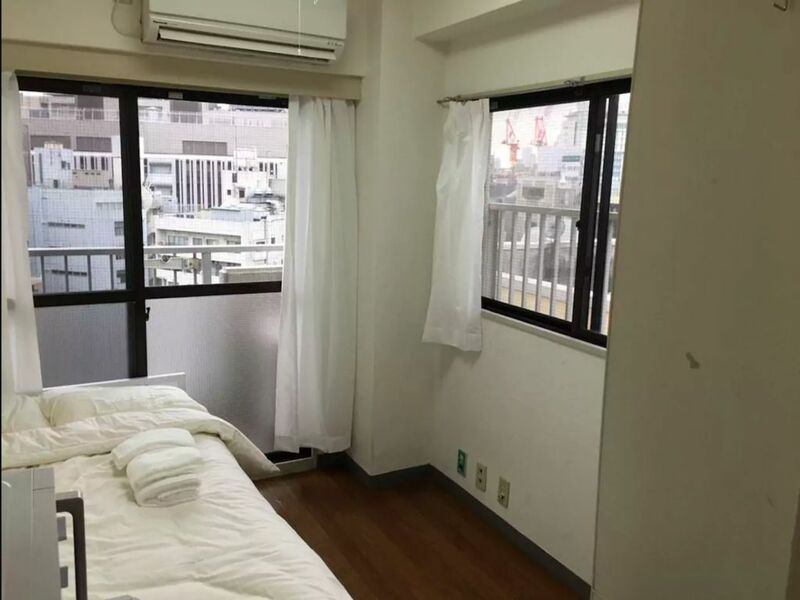 Prime location for staying and traveling around Tokyo. This modern apartment is located only 1 min walk from the famous Shibuya station and Shibuya Crossing. Very comfortable and bright. It can comfortably accommodate up to 1-2 people. The bed is small so if it is two of you, you will be sleeping very close to each other! -Internet is provided for free. The pocket WiFi can connect up to 10 devices and is portable to use anywhere. Great location! Definitely tiny and a very tight squeeze for two people - but we were barely there during the day. Close to Shibuya station so would definitely recommend! Bed is very comfortable (I’m 6’2”) would be a squeeze for two. Space is perfect for someone exploring Tokyo for most of the day and not wanting to stay in their housing - that being said he bath, shower and kitchen unit are very good. Clean space.